Bring water to a boil in a quart sauce pan. Add shoyu and quinoa. Cover and return to a boil. Reduce the heat and simmer for about 15 minutes, until the quinoa is tender but still crunchy. 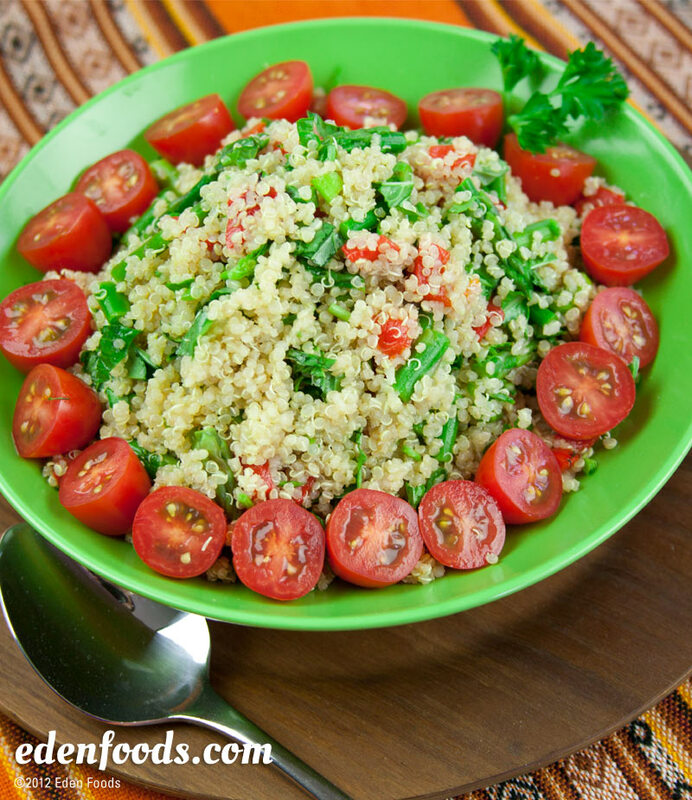 Place quinoa in a mixing bowl and toss with the olive oil. When the quinoa has cooled to room temperature, mix in the asparagus, lemon juice, red peppers, basil and chives. Add more tamari to taste, if desired. Serve on a bed of radicchio leaves surrounded by cherry tomatoes.